This post begins a series that will shed light on how furniture selection connects you to an interior design style. As an interior designer I always had an appreciation for and an interest in furniture which has been produced through the ages. 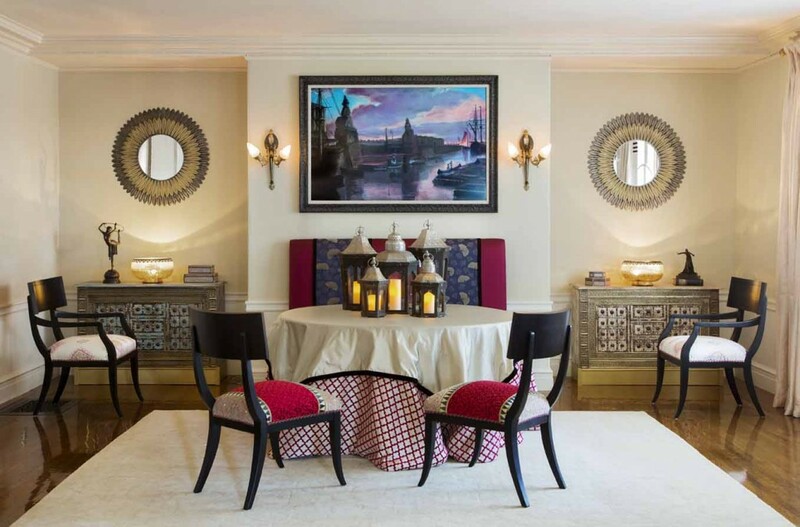 It has always given me insight into how certain pieces of furniture will work well in an interior design scheme that we are working on for a client and suits their interior design style. I am going to start the series off with what I refer to as ‘ the perfect chair’. You might think there is no such thing – but I am going to show how one chair has withstood the test of time dating back to the 5th century B.C. This is known as the Golden age when the Greek style of art celebrated the beauty of nature and its architecture celebrated the perfection of line, proportion, and detail. I am referring to the Klismos chair. At first glance once can see its most identifiable feature- a slightly curved back rail in concave form. 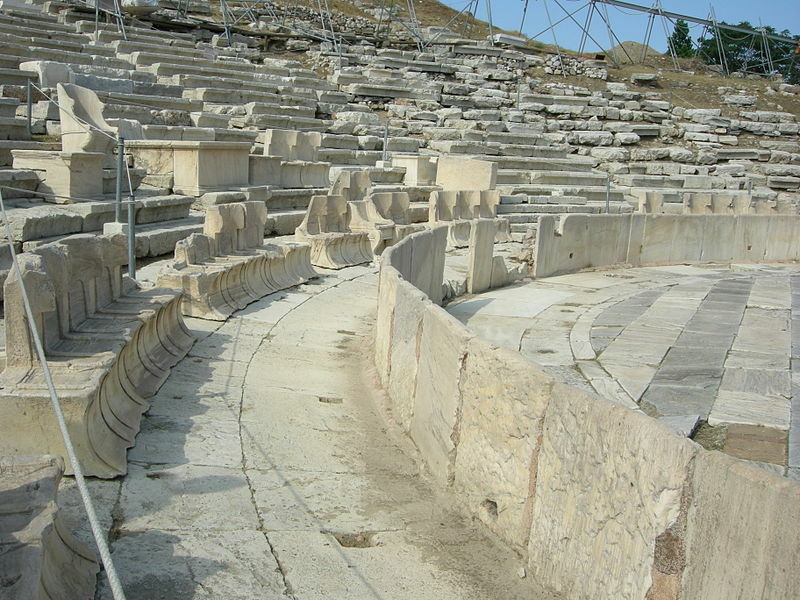 Look at the elegant concave curve below some of the solid stone seats in The Theatre of Dionysus,one of the earliest open-air theatres in Athens. It has the same form that you see in the chair shown in detail on the classical Greek amphoras and other vessels that have survived from the Golden age. 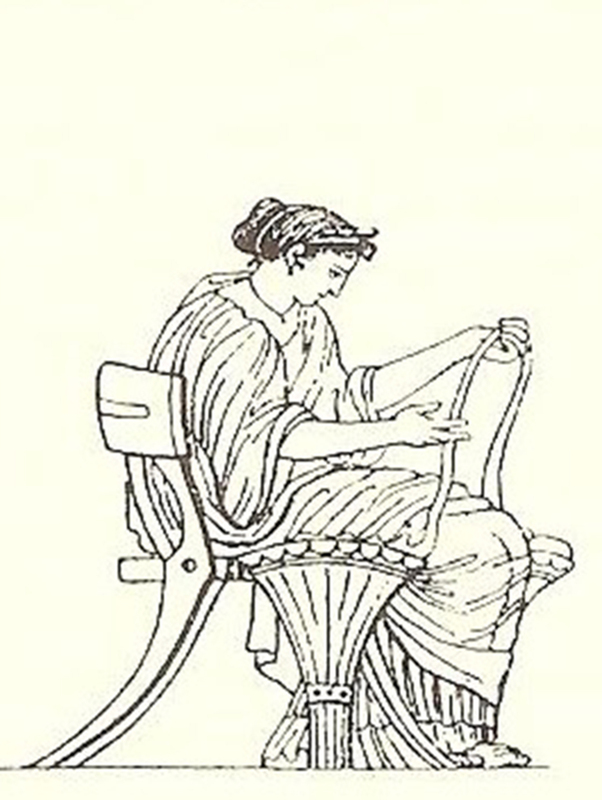 The Greeks used a variety of materials for their furniture including marble, bronze, and iron and wood. 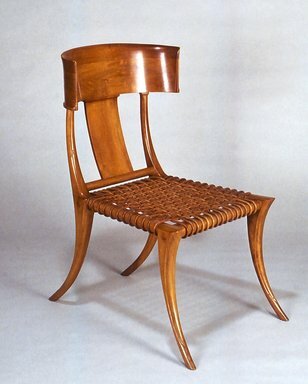 While the legs of many chairs and tables often used animal forms such as dog or lion paws and disk turnings- the elegant curved leg known in interior design and furniture design as the sabre leg has transcended historical periods. If you look closely at the bottom of the stone seats you can actually see the profile of a sabre leg in the stone. The most notable version of this chair which has survived through the centuries of Greek revivals and mid-century modern underpinnings is the most pure classical form with graceful simplicity. 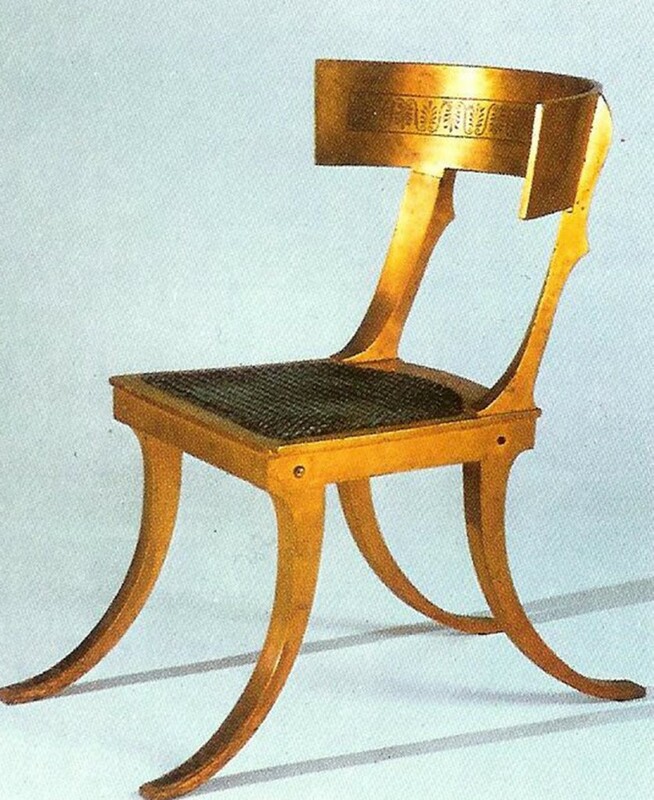 In the photo below you can see a Klismos chair made by the architect Nicolai Abilgaard of Denmark circa 1800. It shows the influence of the what is referred to as the Empire style which spread throughout Europe in the nineteenth century . In the version made by Hermann Freund circa 1835, there is only a curved flattened splat that holds the the recognizable concave back rail. Klismos chair with flattened splat made by Hermann Freund circa 1835. Let’s flash forward 100 years and you can see virtually the same chair with a mid-century modern aesthetic circa 1960- this time produced by architect Terence Harold Robsjohn-Gibbings, a British architect who practiced in the United States You will see here that the seat back is essentially a combination of the variations of the antique Danish chairs shown above. The seat, however, is made with leather strappings. How could one chair withstand the test of time and undergo so many revisions with so little change? Good proportion in relationship to the human body and a graceful form that accommodates the curve of one’s back. This chair is quite different from, for example, the carved ornamentation and more straight back of a Sheraton or Hepplewhite chair with its carved ornamentation- and that graces so many New England interiors. 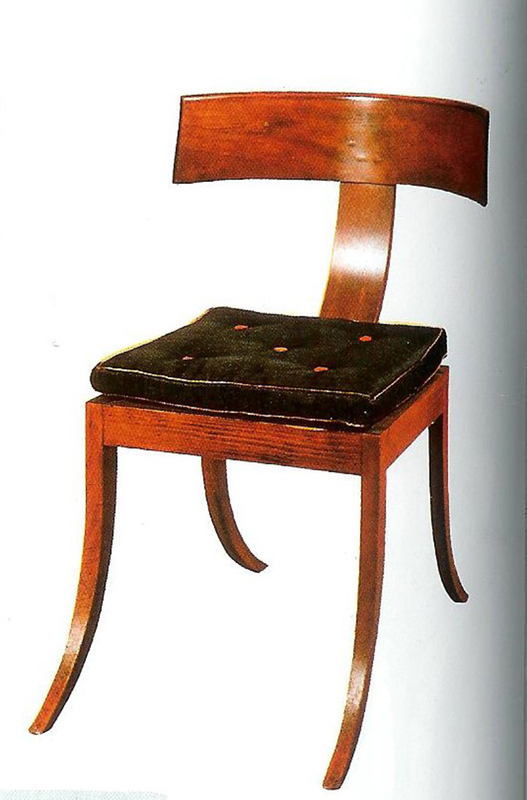 Though a Chinese Chippendale chair is beautiful to look at- it is not always that comfortable to lean back on. And so- I pick the Klismos chair as the perfect chair- comfortable to sit in and beautiful in form. In this Neoclassical/Egyptian revival design project of ours with Art Deco roots- it was the perfect fit. Project Photo- Boston Design and Interiors, Inc.